I was sent a really cool new product form a company called ANT (Advanced Novelty Tech). 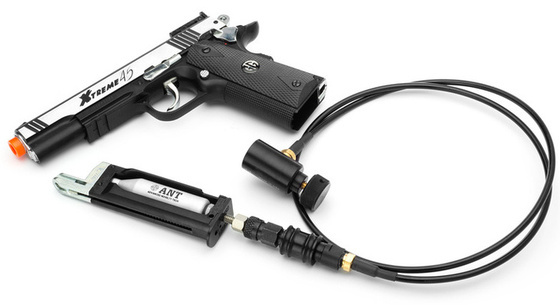 Their CO2/HPA Converter allows you to hook up either a large CO2 tank or High Pressure Air system using standard Paintball hose system. What's kind of neat with the Advanced Novelty Tech CO2 HPA Conversion Kit, is that you can still interchange your 12 gram CO2 if you want to even after modifying your gun to use Bulk CO2 or HPA! 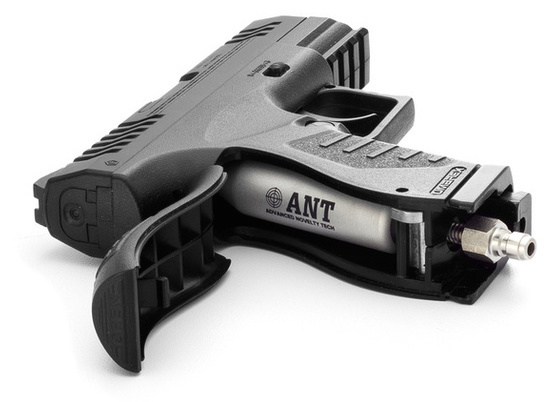 The ANT Advanced Novelty Tech CO2 HPA Conversion Kit works with well over 100 BB, Pellet and Airsoft guns most of which would be Pistols but some rifles are included in this list. The main advantages over using standard 12 gram CO2 cartridges would be a significant lower cost for CO2, along with less fps velocity fall off, so better performance overall. The Advanced Novelty Tech CO2 HPA Conversion Kit is fairly easy to install and ANT even has some inctructional videos showing you how to do this.